I was told a few days ago that my partner and I have money written into our department's budget for blended learning. As I processed this information, I realized something: I have no idea how to spend money. To be in the classroom is to be frugal. 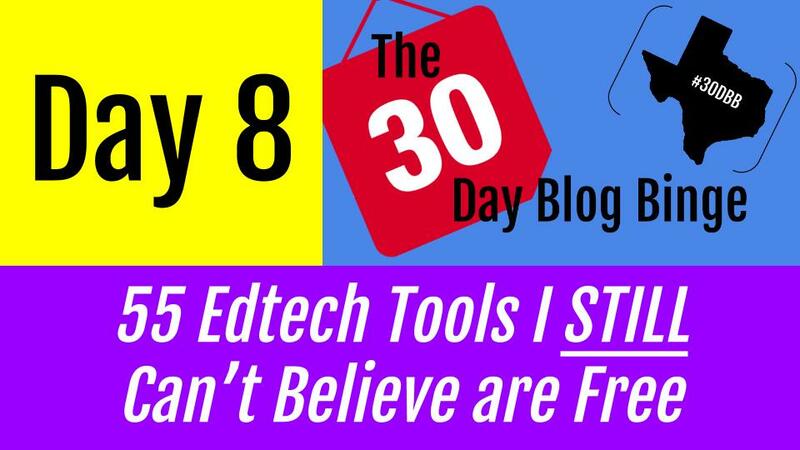 Teachers do everything on a shoestring, finding the best free tool to do whatever we need to do. It's a way of thinking that is ingrained in me far deeper than I realized. With that in mind, I started compiling a list of all the free tools I'd used or trained on during my decade-plus time in education. It's amazing the high-quality tools that are available to educators for absolutely free. Some will be familiar, so may not. Some are completely free, soup-to-nuts. Others have such a robust free version that you'll never need to upgrade. Then there are those who provide a free version for educators that gives you full access to what the rest of the world has to pay for. I've coded each one according to elementary or secondary and the content area it best supports: reading, math, science, social studies, computer science or engineering (R, M, Sci, SS, CompSci, E). For those multi-purpose tools, I'll simply tag them as "All." This list is by no means exhaustive, nor is it in any particular order. They're just the tools I've grown to love and rely on. Enjoy! Epic makes their massive eBook library free to educators for classroom use. Sign up for a free educator account, then you can set up 36 free student accounts. Log-in using the iPad or Android app (or a browser), and students select their profile on the device. The "Netflix of Children's eBooks" then starts providing content geared toward the student's interests. Nearpod can truly revolutionize the way you present information to your students. Move from static PowerPoints at the front of the room to interactive presentations on each student device. Build in polls, quizzes, open-ended questions, and now even virtual field trips. Additionally, the Nearpod library has a ridiculous amount of free presentations you can add to your own library and edit freely. This iPad app got me started on the road to creating flipped lessons. One of the things I love the most is that you can record all your strokes and writing in advance, then play it back and record yourself talking over it. With super-simple upload to YouTube, the things I did in my STEM lab would not have been possible without Doceri. The paid side of the app lets you download a client to your desktop and project whatever you're writing in the Doceri app onto your screen. This lets you move anywhere in the room and still control what's on the board. It's also pretty cool to hand your iPad off to a student and let them show their work. That part of Doceri is $30, but to me, it was worth it. Open up a backchannel, chatroom-style discussion in your classroom. This keeps kids on point as they watch a video, or allows your introverts to participate freely in classroom conversations. You can also save a transcript of the classroom discussion for assessment or future reference. Conceivably, you could use SeeSaw with secondary students, I just think the interface leans more toward elementary. SeeSaw is one of the most incredible apps I've ever seen. Available as an app for iOS, Android and now Chrome, SeeSaw gives students the power to record their work and save it in their eportfolio. Once an assignment has been photographed, recorded, or uploaded, any parent who has signed up also gets a notification in the SeeSaw parent app. The ease of use and setup is what drew me to SeeSaw, and we currently have two schools in our district piloting it with PreK teachers. If a 4-year-old can use the app without help, it's good for any grade level. Additionally, SeeSaw just added a blogging feature, making it almost the perfect all-in-one app for the elementary classroom. If they could throw in some Google Drive integration and a behavior management feature (a la Class Dojo), they could probably rule the world. This drag-and-drop site builder is what introduced me to web design. Their free version offers a limited number of pages, but if you're simply trying to create a place to store class resources or post work, it's more than enough. The Weebly for Education account allows you to create student accounts under your own name, so for a small fee ($40/year) your students can have their own sites, blogs, etc. But if you're just creating something for you or your students are old enough to create their own accounts, the free version is plenty. In most disciplines, the vocabulary is the discipline. It's really hard to discuss math and science concepts without the correct terminology, so simple flashcard decks from Quizlet go a long way to building a students domain-specific lexicon. Anytime I use Socrative, I still get the "I can't believe this thing is free" thought in the back of my mind. Create quizzes using images, multiple choice, true/false, or open-ended questions, then just give your students your Socrative room number. When they join, they put in their name and take the quiz. You get a real-time dashboard with student results, along with a huge selection of downloadable reports in Excel, Drive or PDF formats. If you don't have time to prepare a quiz, just launch a Quick Question or Exit Ticket and Socrative will do the work for you. I used Socrative to gather student data for action research as I worked on my Master's degree, and the amount of time it saved me with data disaggregation cannot be overstated. It's simply amazing. For the teacher who only has an iPad or smartphone, Plickers should be at the top of your list. Print out free student QR codes, distribute them to the class, then ask a question. Students hold up their Plickers ("paper clickers") with the answer they chose facing up. Scan it with your phone and get instant feedback on who gets it and who still needs more help. Plickers also recently added "Scoresheet," which lets you put in a date range and see individual reports on student performance for that time period. It also gives you an item analysis by question so you can get an idea of overall trends in your class. LessonPaths lets you pull in any resources to create a learning playlist for your students. If you would like to have them watch a YouTube video, read an online article, and review with a web-based quiz, all you have to do is add each link to create a new step in your playlist. Share the link with your students and they simply click the big green "Next" button at the top of the screen to go the next resource. Perfect for the classroom that's exploring blended learning, LessonPaths is a simple way to curate resources and make them linear for your students. BlendSpace is a more robust version of LessonPaths. It allows you to search for resources from within the app, then drag-and-drop it into your playlist. With Blendspace, you can add PDFs, images, Google Drive files, PowerPoints, YouTube videos, links and more to create a list of resources for your students. Perfect for differentiating instruction and blending/flipping the classroom, BlendSpace also now lets you integrate. Since being acquired by TES Global in 2014, you can easily add TES resources to your playlist. If you're not familiar with Code.org, please make it a point to introduce yourself. The originators of the "Hour of Code," this entirely free resource is organized around modules that allow students to start coding. Even if you, the teacher, have no coding experience, Code.org's block-based coding language (similar to Scratch) gives hints, help, and video tutorials every step of the way. No devices? No problem. Code.org also offers "unplugged" activities to get kids thinking like software engineers. As an educator, you can receive a free, fully-functional version of SketchUp simply for being you. If you're exploring ways to design and create, SketchUp is one of the easiest tools around. Create 2D and 3D drawings, go quickly through design ideas, and access a huge library of 3D models that you can use. There are great connections with geometry, even if you only use the teacher version as a whole class. Get students thinking about how engineers and architects really work by demonstrating concepts through SketchUp. Autodesk makes a huge amount of its software available for free to both teachers and students. You can download featured suites of products or individual titles. Tools like AutoCAD, Fusion 360, 3ds Max and much more are available for educators and those they serve. It's amazing that Autodesk provides these tools for free, and their uses are only limited by your imagination. So yes, the basic version of Animoto is free to everyone. But as a teacher, you're also eligible for an upgrade that gives you a full seven-minutes of video (as opposed to 30 seconds) on your account. Animoto can be used by students to create short commercials, demonstrate a concept, summarize a story, or provide the background for a story they're reading in class. With a good-sized library of images and music, getting creative is straightforward and easy to begin. Create collaborative whiteboards, timelines, organizational charts, mind maps, project management hubs and more using Realtime Board's intuitive, easy-to-use interface. Teachers and students are eligible for free Premium accounts, which gives you unlimited boards and collaborators, as well as exporting, backup and extended support. Realtime Board is an excellent tool for students to get themselves organized by keeping track of due dates, files and more. The premium version of Read&Write is free for teachers. Read&Write is a text-to-speech app that integrates into the Chrome browser. It provides support for students with reading disabilities, and also allows them to access regular and picture dictionaries as well as take screenshots to be read to them, all from within their browser. It's integration with Google Docs as well as it's note-taking abilities make it an exceptional tool to give students the extra confidence they need to navigate text in a digital world. Diigo allows you to save bookmarks and easily share them with others. With the Diigo Educator account, you can create student accounts for an entire class (without email addresses), set them up as a Diigo group, then start sharing bookmarks and annotated websites with them. When it comes to collaborative research and resource sharing, Diigo makes it easy to get everyone on the same page. Even though SymbalooEDU does have a premium version, the free one should provide you with everything you need. Symbaloo's super-cool tiling layout makes it easy to gather bookmarks, organize them, then share the link to your page with your students. You can set up differentiated lessons and resources, organize by topic, or create a homepage for your class with all your resources in one place. Symbaloo is available across devices so you always have all your bookmarks in one place. In the vein of "Wow, how is this free? ", it would be a terrible sin to leave GAFE off the list. With a little work from your technology department, your district can be set up with a free domain with unlimited storage on Google Drive and access to Docs, Sheets, Slides, Drawing and, of course, Google Classroom. 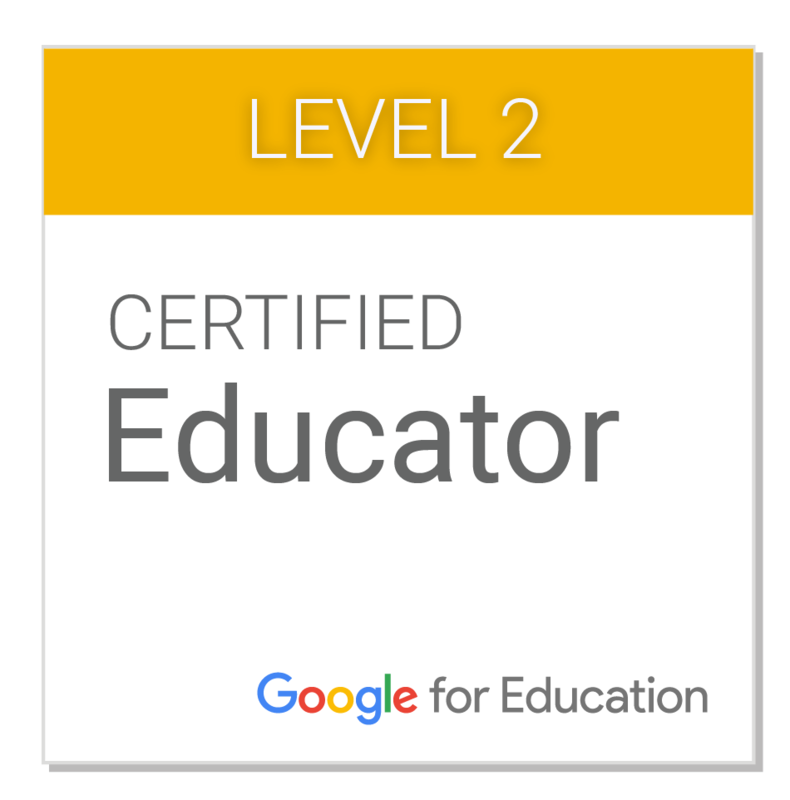 Yes, you can use a personal Gmail account to do some things with your students, but you've never known ease-of-use and sharing like what Google has developed with their EDU offerings. If your district doesn't have it yet, be the voice of change. It'll be worth your time. A diagramming web app, LucidChart allows multiple users to collaborate on exceptionally intricate mindmaps, graphic organizers, and other ways of showing relationships between ideas. With the teacher version, you get team management, as well as increased storage per team. LucidChart makes collaborating on ideas easy and makes connections clear. Update: Dave Grow from LucidChart let me know that LucidPress, their super-easy, collaborative, drag-and-drop design software is also free for educators. Thanks, Dave! @NKeithBlend Thanks Nicholas for including Lucidchart! By the way, have you checked out Lucidpress too? Also free for EDU. Coggle is an entirely free, Google Drive integrated mindmapping tool that, once you get learn the initial interface, makes producing awesome looking webs and maps easy. Use it in science class to show connections between idea, math class to classify vocabulary, social studies for timelines of events, and reading for plot development and sequencing events. Coggle gives you the ability to make your thinking visual. An innovative way to add text, images, movies and more to your pictures, Thinglink lets students connect their learning in one place, then share their images for others to learn from. Thinglink has almost endless possibilities, and the free Thinglink Education option lets you quickly create student accounts, organize them into classes, and creates a secure environment for them to work in. This version lets you create 1 classroom with 100 students. But sometimes you don't need everything that the big guns are offering up. That's why I love options like Classmill and Cloudschool. If you only need to make one or two online courses, or you're experimenting with flipped and blended professional development, creating a course on one of these two workhorses is a great way to get started. They're incredibly easy to use, and the ability add text, video, images and more make them ideal for creating simple courses or housing resources. I actually just learned about this today from Tina Berumen, the media specialist at Cannon Elementary in GCISD. MackinVIA is a free platform for managing all your district's ebooks and digital media in one place. You can create groups that pull together resources for student research, as well as link to any external resource you think should be included in the collection. Also, the fact that content is accessible from any device through the MackinVIA app makes it perfect for any style of technology deployment. And if you purchase digital content from Mackin, it's automatically added, tagged and ready to go. In the age of evolving libraries, a central hub like this seems to have become a necessity. With interactivity for geometry, algebra, statistics and calculus, GeoGebra allows you to all sorts of crazy things math and then dynamically alter them afterwards. Think of it like a science lab for math nerds. GeoGeobra Tube hosts over a million resources, and the multitude of apps makes it easy to run on pretty much any device. If you're looking to teach math differently, GeoGebra is the place to start. Remember graphic calculators? While they still have their uses, Desmos packages almost all of their features and more into a handy web app (also available on iOS and Android). Like GeoGebra, the ability to manipulate data and visualize the results is an incredible way to help students start thinking like mathematicians. As early as 6th grade, where standards call for students to differentiate between multiplicative and additive relationships, Desmos can be used for tinkering, exploring and making sense of math. With approximately a bazillion articles, each at 5 different reading levels, NewsELA brings a wealth of differentiated resources to your fingertips. Search by topic, text set, grade level, reading standard and more, then assign the text to your class. Even if you're simply looking for differentiated texts to print and use in small groups, this is an incredible resource for reaching your readers where they are. Formerly Remind101, Remind falls into the category of "How did I ever live without this?" By enabling parents and students to sign up for free text messages and emails from you, you're able to vastly increase your school-home communication without ever giving out private information. Remind's Chat function now allows two-way, safe communication between teachers and students. All history is logged and stored, and nothing can be erased. Rumor has it that Remind is working on a schoolwide version with a data dashboard for administrators, so that could be an interesting addition coming soon. With lovable little monsters, it's difficult not to love ClassDojo. Encouraging students to earn green points through class participation, ClassDojo sends weekly updates to connected parents on the progress of their student's in-class behavior. ClassDojo allows you to send two-way messages or broadcast announcements, as well as share photos and attachments of what's going on in class. I know a multitude of teachers who say they simply couldn't function without ClassDojo in their lives. Make any online video your lesson by using EdPuzzle. Log in, find a video that matches your standard, then add voice notes and assessment questions. From the teacher dashboard, view student responses and track their progress no matter where they're watching. EdPuzzle's apps make it ideal for BYOD learning environments as well. Keep students accountable for their flipped learning with an easy-to-create lesson using EdPuzzle. HSTRY gives you and your students a simple, click-to-add interface to create amazing looking timelines. Once you create a class, you can assign timelines that you've created for your students to view. Then, assign students timelines to create as they embed images, text, audio, YouTube videos and "Did You Know?" questions in their work. You're able to view student work easily, so grading and assessment is just about as easy as it can be. Teachers are also using HSTRY for flipped lessons, resource repositories, and curated collections of content for the students they teach. There's a bit of learning curve at first, but it will definitely be worth your time in the end. Send your students to Padlet, tell them to double-click, and watch them start posting their thoughts. Padlet allows students to add links, videos, images and more. Create a collaborative Word Wall for a unit of study, or post images from a field trip and share the link with parents. Using Padlet's new iPad app makes it even easier for students to get mobile and explore the world outside their classroom, then organize their findings in Padlet. When you're done, export the wall as a PDF so you have copies of everyone's responses and posts. What does an outline really mean? When students use Text2MindMap to visualize the relationships between headings and subheadings, they start to see how things are truly connected. Simply type an outline on the left hand side of the T2MM screen, then click "Draw MindMap." A graphic organizer is instantly created on the right, showing hierarchies and conceptual connections. It's easy to download your graphic organizer as a PDF or image, and then submit using a tool like Google Classroom. With Scribble Maps, students can write on and annotate Google Maps. Whether it's showing trade routes, mapping migration patterns, or tracking the path a hero takes through a novel, Scribble Maps is the perfect tool for visualizing movement across the globe. Stick pins in important places, take distance measurements, and add images to locations. Scribble Maps has a ton of possibilities for exploring geography in an interesting way, and helping students develop an understanding of maps beyond their GPS app. There are many comic strip generators in the world, but MBC has always been my go to. It's simplicity of use and sharing makes it perfect for younger students, but it has enough variety to keep older kids interested as well. MBC can be used to help students visualize ideas, create discussions between historical characters, and provide the real-life setting for a math problem. Back in the day, teachers used overheads with transparent plastic Base-10 blocks to help students develop their understanding of place value and other concepts. With the overheads gone, it can be difficult to model for students exactly what you want them to be doing with the toy-looking objects that have just been set in front of them. This set of virtual manipulatives is an elementary teacher's dream come true. Full of backgrounds and manipulatives, teachers have quick access to ten frames, two-color counters, Base-10 blocks, algebra tiles, geoboards and much, MUCH more. Having this accessible makes life much easier when it's time to have students show their math. I have never used any tool more in my life than Screencastomatic. With a quick download, you can record whatever is on your screen, upload it to SOM's hosting or a YouTube channel, and share it with students. The free version gives you 5 minutes, but if you want more time and more editing options, you can get 3 years for $30. When you compare it to screen recording suites like Camtasia that runs in the hundreds of dollars, SOM is incredibly robust for the price. We have to deal with PDFs whether we like it or not. SmallPDF gives you access to 14 different ways to split, merge, tweak, convert, lock or rotate your PDFs. If you don't already, you will need this tool in the future. I'd keep it handy. Give students a deep understanding of scientific phenomenon using the incredible interactives from the University of Colorado at Boulder. Whether it's building their own atom, exploring the energy of a skate park, or investigating friction at a molecular level, PhET lets students do things they may not have been able to do before. And now with many interactive in HTML5 (instead of the devil's programming language, Flash), most PhET interactives will work on any device with a web browser. Everyone knows about them, so I won't spend a lot of time describing KA here. But if you just stop for a moment and reflect on what Khan Academy has done, it's completely amazing. Being able to provide high-quality instructional resources for free to the wired world is something on a scale that has never been done before. This incredible resource can't be left out of any "I can't believe this is free!" discussion. If you teach 3rd-6th grade math, you need to check these out. 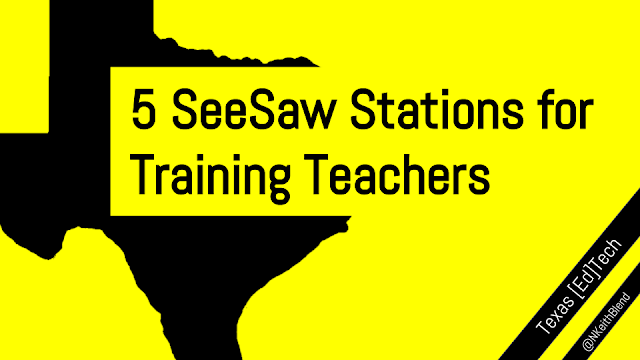 For full disclosure, they're sites I created for the math teachers in our district, so they're organized by Texas standards, but they're still aligned with most national ones. Search for tutorial videos, resources, activities and lesson plans all grouped by standard, and cut your lesson planning time down to a minimum. It's worth taking a few minutes and looking around. If you are a teacher in a Title 1 school or a teacher of Special Education students in any school, the Open eBooks app (a partnership with 10 publishers, First Book and the White House) has made an incredible library of books available to your students for free. Here's a video on how to sign up from start to finish, but the essence of it is that you get class codes for each one of your students and when they download the Open eBooks app, all they do is enter the code to start reading. This is an amazing step toward making high quality reading material available to underprivileged students, and definitely should be incorporated into all qualifying classrooms. Photo editing, collages, and tasteful effects used to be limited to the qualified few with darkrooms, then the ones with superpowerful computers. Now, these web-based tools make it easy for anyone to create using images. Simply upload, then explore effects, overlays, text options and more. Get students creating pictures that represent a story, or adding their own commentary to photos of current events. These tools make it easy to look like a pro. (Update: MoveNote is no longer free. Boo. But it's still worth taking at least a passing glance at to see if your students would benefit from the paid version.) MoveNote is beautiful because of its simplicity. Take anything from your Google Drive or computer, upload it, then record yourself presenting. Share a link with someone or submit it through Google Classroom, and you can communicate with anyone, anywhere. MoveNote is great for getting students to explain their thinking and though process, as well as work on those oh-so-important soft skills like speaking clearly and slowly when presenting. Sometimes you just need a distraction-free place to write. No ads, no titles, no overwhelming toolbars full of options - just a blank screen. Part of the Zenware movement, DarkCopy is simply a calm place to write. When students blog or journal, using DarkCopy and then copy/pasting into whatever format they'll use to turn in can be a great way to get them to focus on the words instead of changing fonts, colors and formatting. Love your resources! Another great resource is Listen Current's curated NPR stories for the classroom. Listening to current event 5-7 minute podcast clips is great for students! Most of the stories have primary source audio and there is a free lesson posted daily. It's great for whole group instruction and has free daily current events with comprehension questions pre-written, so teachers don't have to create a lesson plan, it's already ready made.